If you have ever had a flat tire, you know how the inconvenience it can cost especially if it happens when you’re away from home. We at Mossy Fiat would like to help you be more prepared for this situation. Changing a flat tire is easier than you might think if you know how and have the right supplies. When it comes to taking care of your vehicle, we often tend to think about the big things. Sometimes, the little things can make a difference too. It's certainly not fun when you discover rodent damage, and the consequences can be quite serious. At Mossy FIAT, we have a few recommendations if you want to keep rats, mice, and other small animals away. There are a lot of things that you probably love about your pet. They greet you when you come home from work, and they snuggle with you on chilly evenings. You probably don't like when they leave a lot of fur behind on your car's upholstery. We want you to be updated on some of the best techniques to keep your car in tip-top shape, so we're going to give you a few great tips. There are some things in life that you can't do much about. For instance, if you're driving down the road, you might not anticipate the rock that flies up from the back wheel of the car in front of you and hits your windshield. You might be frustrated with yourself for failing to give more distance between you and the vehicle in front of you, but the damage is done. sometimes you can do something to repair the new chip in your windshield. Often times, you're at the mercy of a mechanics' training and experience, unless you have mechanical knowledge. However, you can empower yourself to make the right choice by making sure the mechanic you choose has the right credentials. For instance, if you're having brake service, does your mechanic have a certification for the brake system? Most mechanics are ASE certified. ASE stands for Automotive Service Excellence. Look for the specific certification around their workstation or look for their ASE patch, which is generally worn on the arm of their uniform. The tires on your vehicle are going to help keep you and other motorists safe on the road. 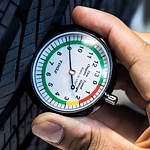 Keep a close eye for any of these warning signs of potential tire trouble. If you see low tire tread on one or all of the tires, today is the day you need to address the issue. Low tire tread reduces the ability of the tire to grip the road, especially in inclement weather conditions. 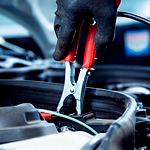 When was the last time you had your car's battery checked? If you can't remember, it's a good idea to test your battery and make sure everything's working properly, and it's easy to do yourself. The timing belt in your vehicle has an important job. It makes sure that the camshaft and crankshaft are turning at the right rate, and this leads to the valves opening and closing properly. All of these movements are vital to keeping an engine working efficiently. Driving is often a dangerous affair when the roads are not in perfect condition. 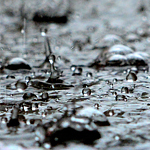 Among the dangers of driving are hydroplaning. This is very possible during times of heavy rain. There are a lot of factors that can cause your vehicle to slide and lose control. Not all of them have to do with speed. The brake pedal in your car will give you signs when there could be serious trouble brewing with the brake system. Here is what to look out for. If the brake pedal feels soft, there might be air in the brake line. This can be a real problem when you need to hit those brakes in an emergency because the vehicle might not stop in time. The service team will bleed the brakes and will make sure they are working safely again.